As per the estimates from Central Statistics Office (CSO), the share of agriculture and allied sector in GDP of the country has declined from 47.6% in 1960-61 to 14.4% in 2010-11 at 2004-05 prices. This is due to structural changes in the economy and more employment opportunities coming up in new areas. Launched in 1975, today, ICDS Scheme represents one of the world’s largest and most unique programmes for early childhood development. ICDS is the foremost symbol of India’s commitment to her children – India’s response to the challenge of providing pre-school education on one hand and breaking the vicious cycle of malnutrition, morbidity, reduced learning capacity and mortality, on the other. In a major policy decision, the Central Government has decided to allow Qualified Foreign Investors (QFIs) to directly invest in Indian equity market in order to widen the class of investors, attract more foreign funds, and reduce market volatility and to deepen the Indian capital market. QFIs have been already permitted to have direct access to Indian Mutual Funds schemes pursuant to the Budget announcement 2011-12. Today’s decision is a next logical step in the direction. Qualified foreign investors, or QFIs, can be individuals, groups or associations based abroad who are allowed by the government to invest directly in mutual funds and stocks of Indian companies. Qualified Foreign Investors will be distinct from foreign portfolio investors and non-resident Indians. A QFI can, for instance, be a foreign individual investor in Singapore or Russia, who can buy into stocks of a Tata group company or Coal India or any other listed stock after fulfilling the Know Your Customer norms through an Indian depository participant and obtaining the approval of the RBI. The individual and aggregate investment limit for QFIs shall be 5% and 10% respectively of the paid up capital of Indian company. All the BSF Jawans posted in 237 locations will now be able to access their personal data from wherever they are posted. This is a major benefit from the Intranet Prahari Projet apart from efficient office management which will help in quick decision making. This was stated by the Union Home Minister Sh. P. Chidambaram while launching Intranet Prahari Project. To commemorate the 150th Birth Anniversary of Gurudev Rabindranath Tagore, the Ministry of Culture has undertaken several projects, schemes and events. One of the projects is compilation of a Web-bibliography of works of Tagore. The Prime Minister, Dr Manmohan Singh released the HUNGaMA (Hunger and Malnutrition) Report-2011 in New Delhi. "What concerns me and what must concern all enlightened citizens, is that 42% of our children are still underweight. This is an unacceptably high occurence. We have always believed that a mother’s education level, the economic status of the family, the provision of sanitation and hygiene, the status of women in the family, breastfeeding and other good child-rearing practices do affect children’s nutrition. The HUNGaMA survey has broadly validated these hypotheses." On 20th December, 2011, Moody`s Investor Services released a credit rating update for India. It upgraded the rating on long-term government bonds denominated in domestic currency from Bal to Baa3 (from speculative to investment grade). The long-term country ceiling on the foreign currency bank deposits was also upgraded from Bal to Baa3 (from speculative to investment grade). 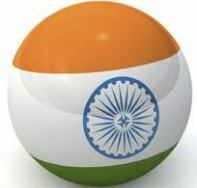 India`s sovereign debt is rated by six international sovereign credit rating agencies namely Standard and Poor`s (S&P), Moody`s Investors Service, Dominion Bond Rating Service (DBRS), Fitch Ratings, Japanese Credit Rating Agency (JCRA) and Rating and Investment Information (R&I). These agencies normally visit the Ministry of Finance and the Reserve Bank of India before making their credit assessment.